A feature flag allows you to place code behind a switch. Deploy your product with the switch "off" and then enable it for 1, some, or all of your users. If you run into a problem, simply disable the feature from our dashboard. No deploy necessary! 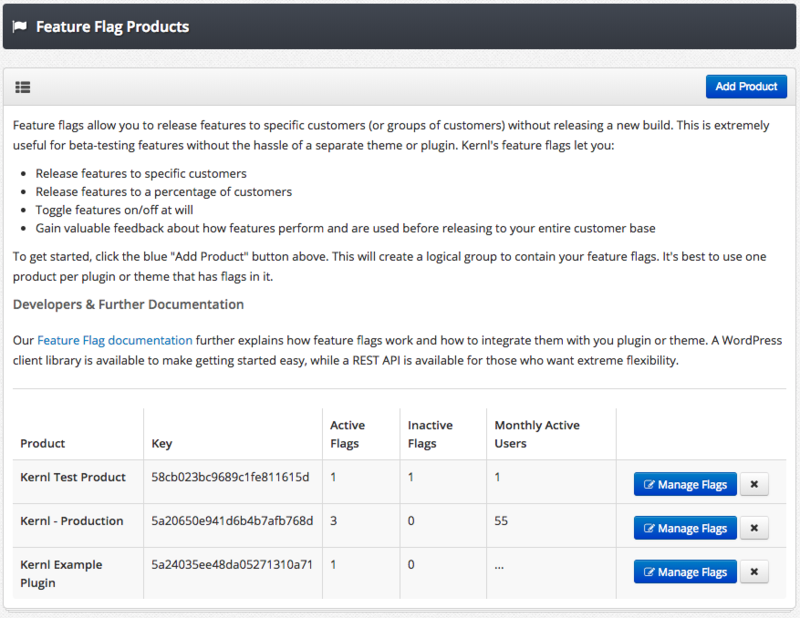 A feature flag is just an identifier that you give a feature. You'll use it to toggle your feature on an off. There are 3 different types of flags: on/off, percentage, and individual. Feature Flags need to know who your users are. 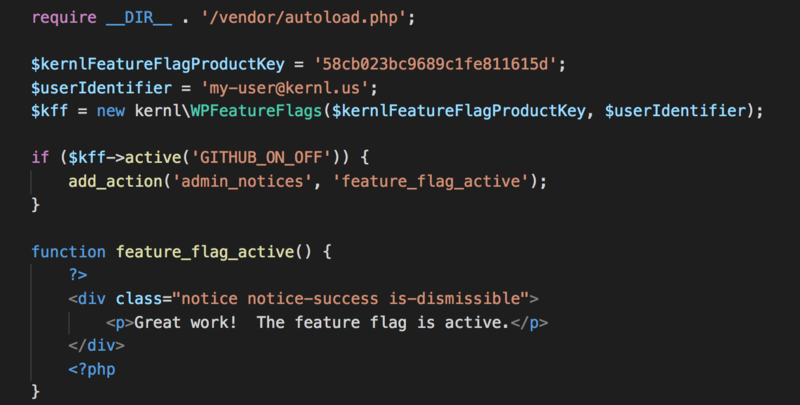 Kernl's Feature Flag WordPress library makes this easy. After we know that, you can wrap your code in a simple "if" statement for toggling.